Hello friends. It has been quite a while since I've posted. Life gets very busy and I decided to take a break from blogging for a while to focus on other things. 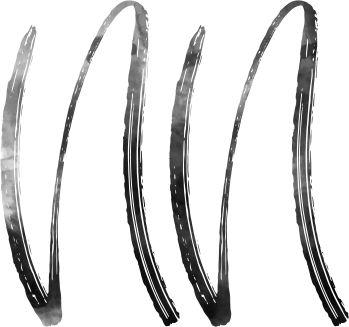 But now I'm back, the site has a new look, and I'm coming to you with a new post to restart this blog with a bang. 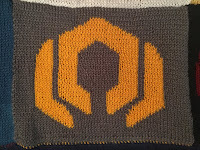 I love knitting, though I don't knit as often as I used to. 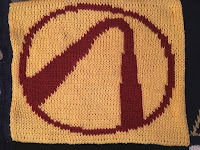 In college, I was almost always in the middle of a knitting project. But it's rare that I have the time anymore. 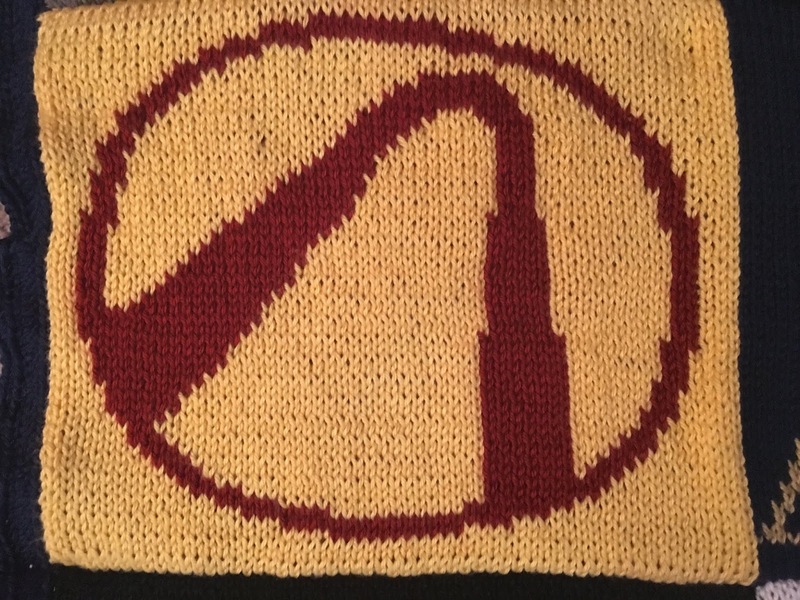 Knitting is such a relaxing hobby. It soothes me when I've had a stressful day - something mindless for my fingers to do while I watch TV. It's very therapeutic. My boyfriend is in the Army National Guard and last year he was stationed in Washington DC for a year. It was hard having him gone but I did enjoy going up to visit him once a month. We love that area and would love to live there someday, finances permitting (it's hella expensive). 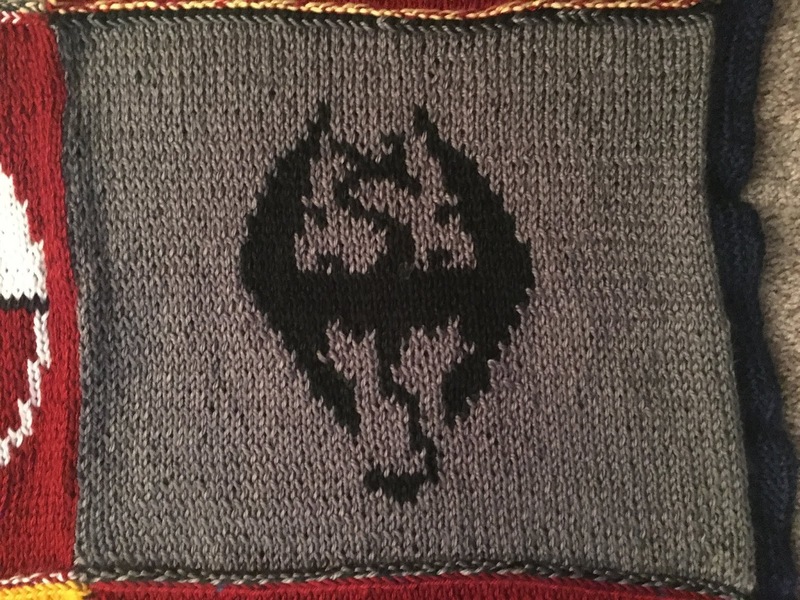 Anyway, I wanted to do something extra special for his birthday the year he was gone. 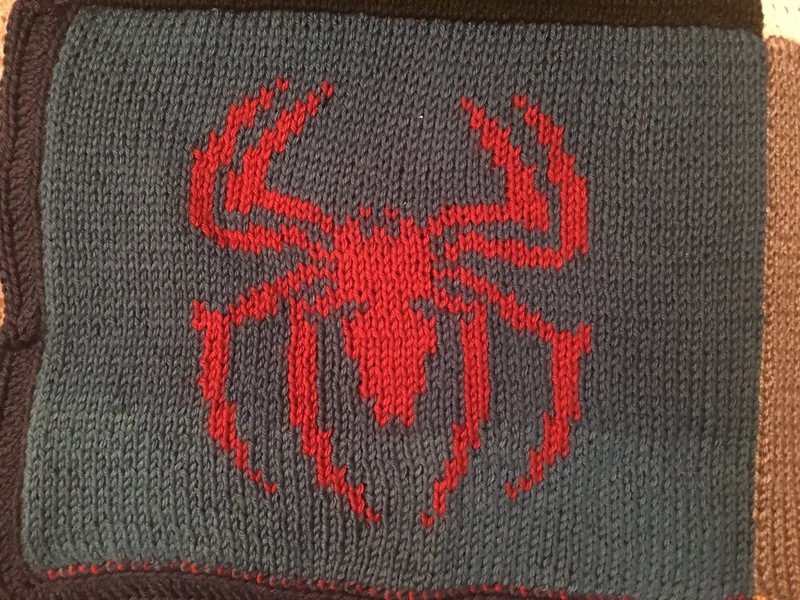 I decided I wanted to knit him something. 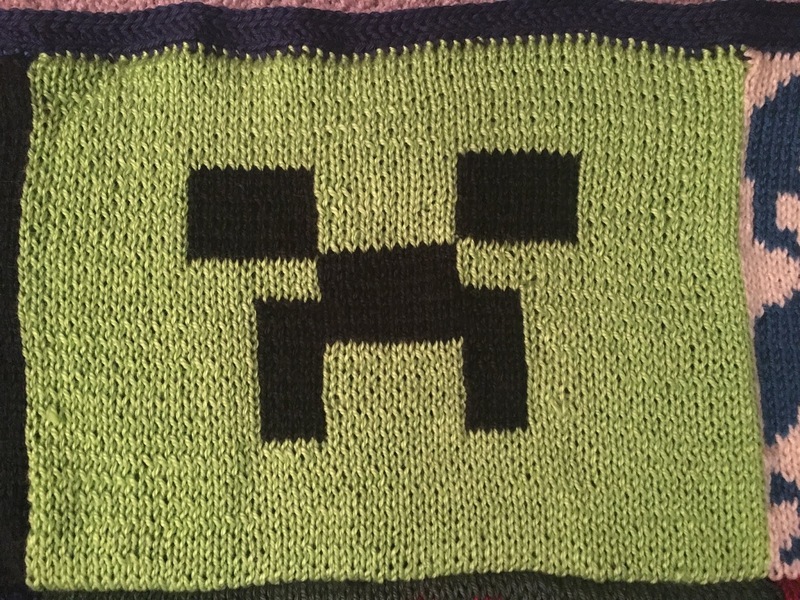 It felt more special and heartfelt that I would be taking the time to make something with my own hands to give him. I liked the idea of a blanket. 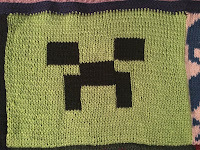 Something to keep him warm on cold nights and to remind him of me when he snuggled up with it. 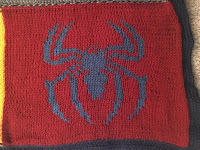 But I also wanted to make sure whatever this project turned out to be, it was something he would actually like - not a corny knitting project. 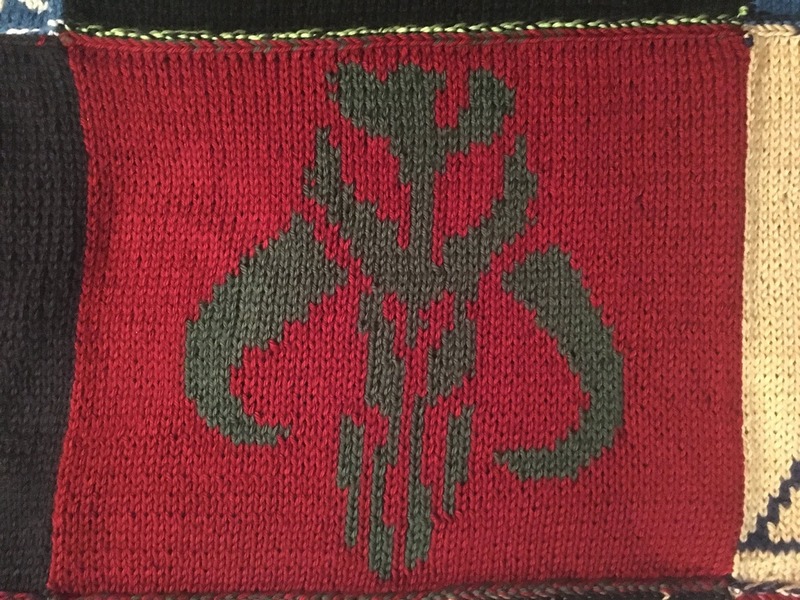 He and I are both huge nerds so I started surfing the web looking for nerdy knitting ideas. 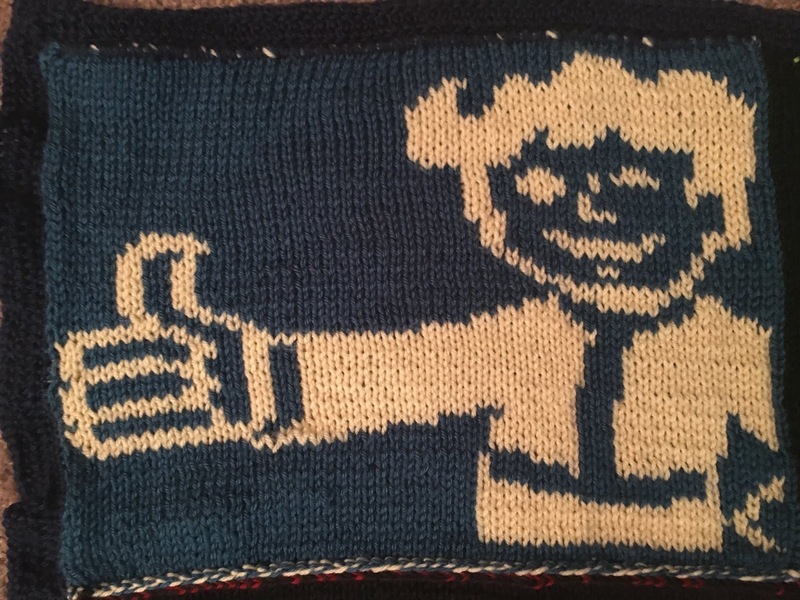 I stumbled across a pattern for a Vault Boy patch. 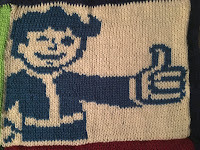 For those of you who aren't familiar with Vault Boy, he's a character from Bethesda's video game franchise, Fallout (side note: if you're not familiar, you should check that series out). 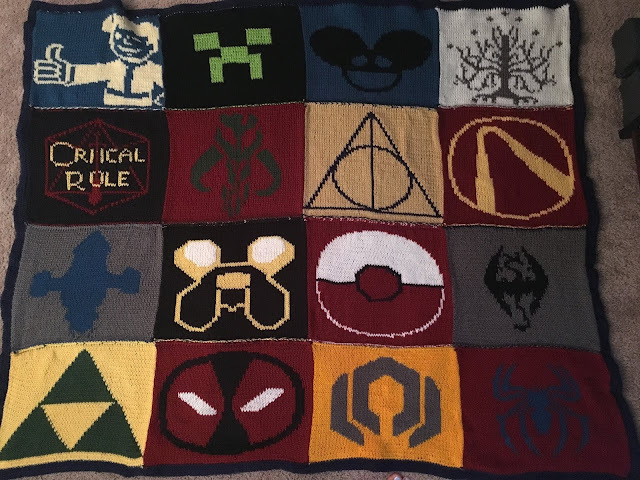 And this gave me the idea for a patchwork blanket incorporating some of his favorite nerd fandoms. Further search across the web for other nerdy patch patterns left me disappointed. 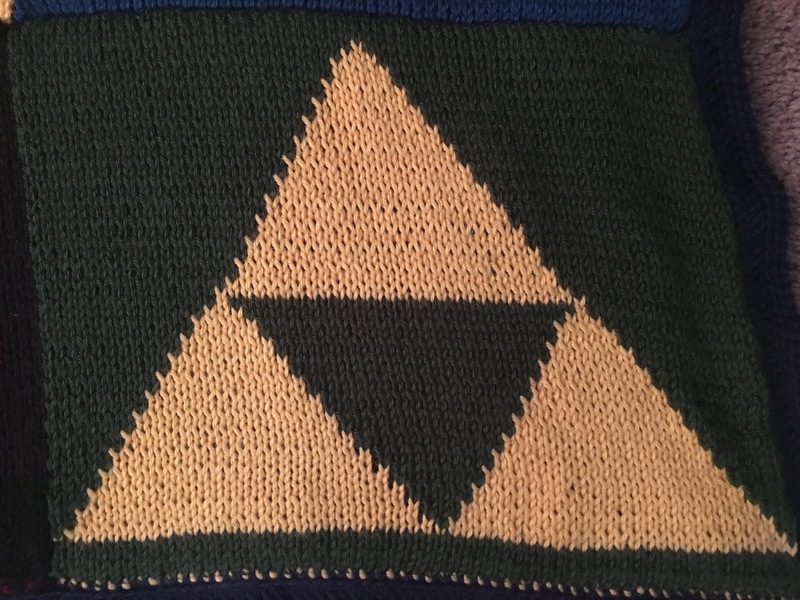 I couldn't seem to find anything that was the right size for putting a blanket together. 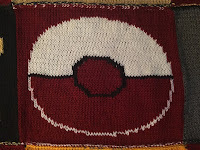 So, I decided to write a bunch of patterns myself. And this was the result. 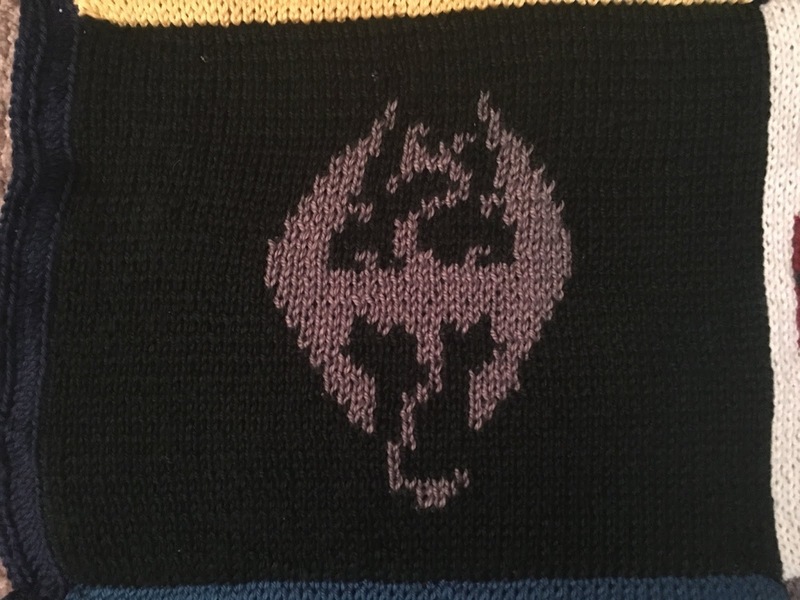 I've done a lot of knitting and other craft projects in my time but this is my proudest piece to date. 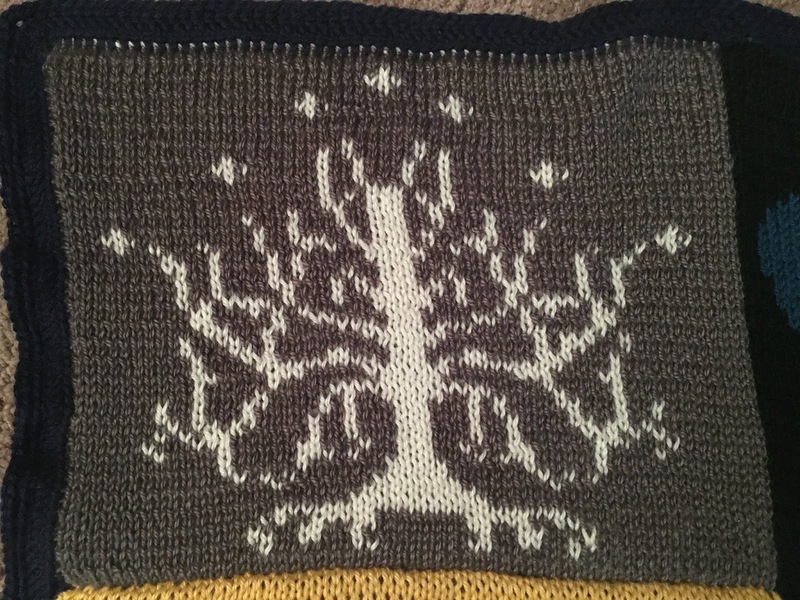 I am so happy with how the patterns turned out and how the piece came together overall. And it was the perfect birthday present. He LOVED it. 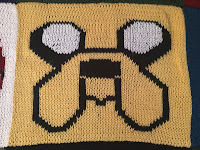 Two years later it's still his favorite blanket. This blanket brings together the nerdoms of Fallout, Adventure Time, Borderlands, Critical Role, Deadmau5, Deadpool, Firefly, Harry Potter, The Legend of Zelda, Lord of the Rings, Mass Effect, Minecraft, Star Wars, Pokémon, Skyrim, and Spider-Man. 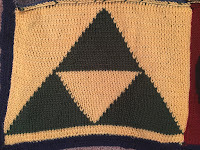 Each patch was done with a reversible double-sided knitting pattern so the colors are flipped on the back of the blanket. I hope you enjoy making this as much as I did. 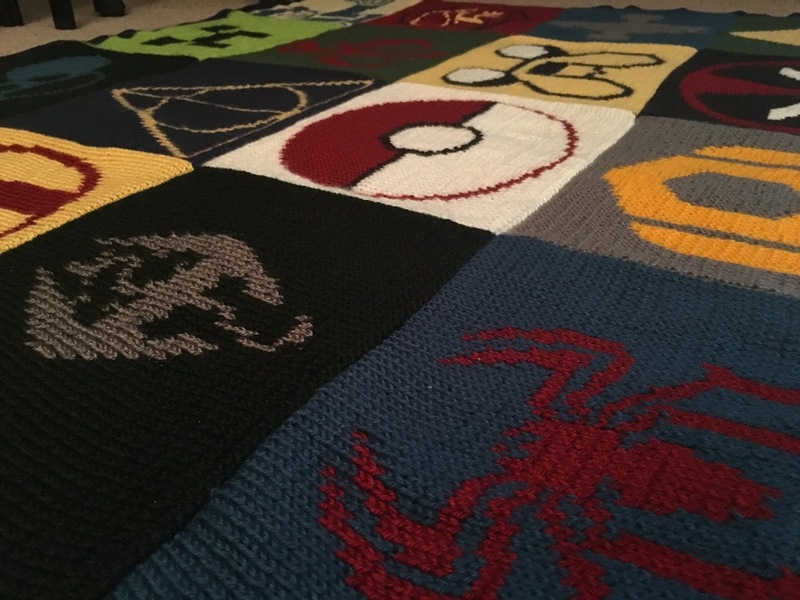 It's a lengthy project but I felt so accomplished when I finished it. And the yarn I used is super soft so it's a perfect cuddle blanket. Even our puppy now loves snuggling up with it. 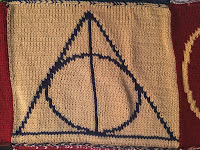 As I mentioned above, this is the pattern I found on the web. 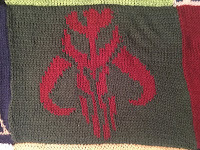 It is the only piece of this blanket I did not design myself, so I can't take credit for the pattern. 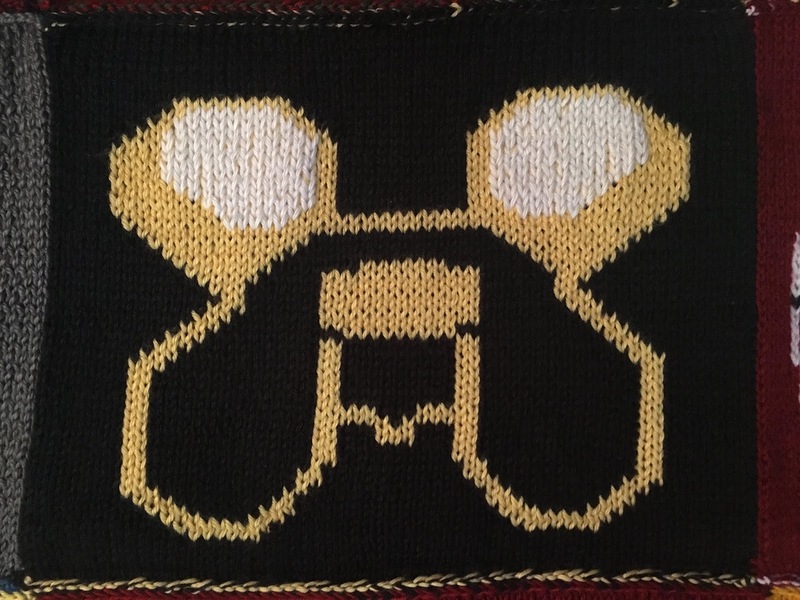 This awesome pattern was created by Lattes & Lamas and it can be found here. Everyone's favorite magical adventuring dog. See the pattern here. The white eyes are weaved in separately after the patch is knitted by using a large yarn sewing needle to follow the stitches. 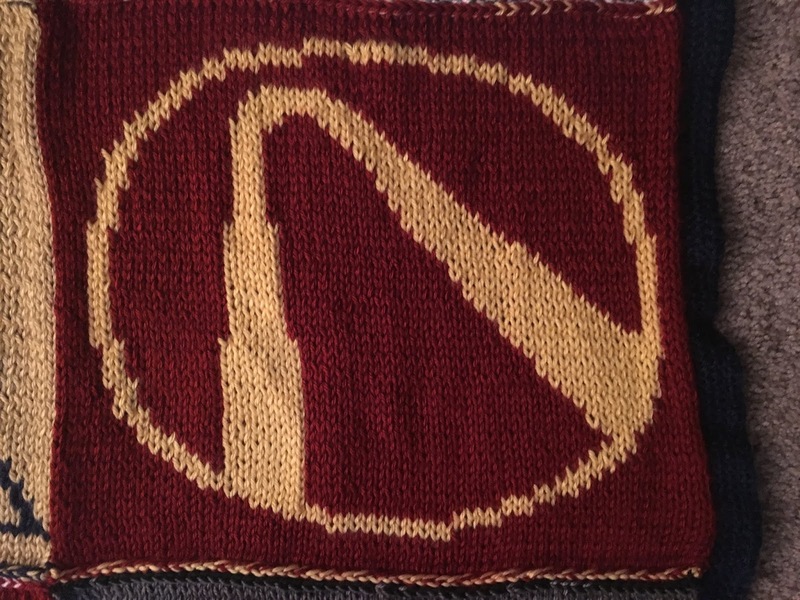 I've only played a little bit of the Borderlands series here and there so I don't have a ton of familiarity with it. It's a series still sitting on my list of games to play in full at some point. Nate enjoys it which is why this Borderlands logo patch found its way onto this blanket. 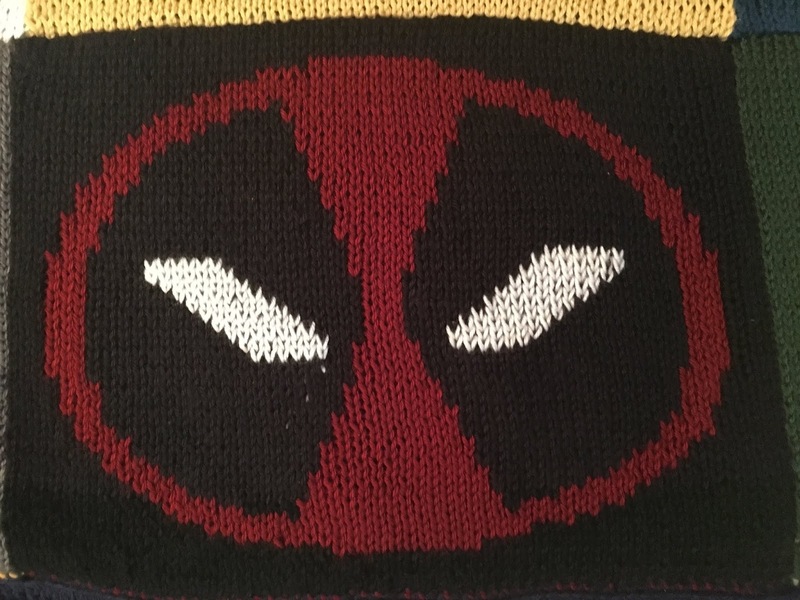 Get the pattern here. 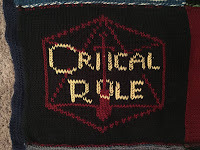 Critical Role may be a nerdom in this mix a lot of you aren't familiar with. If you have any love for Dungeons & Dragons, I recommend checking it out. 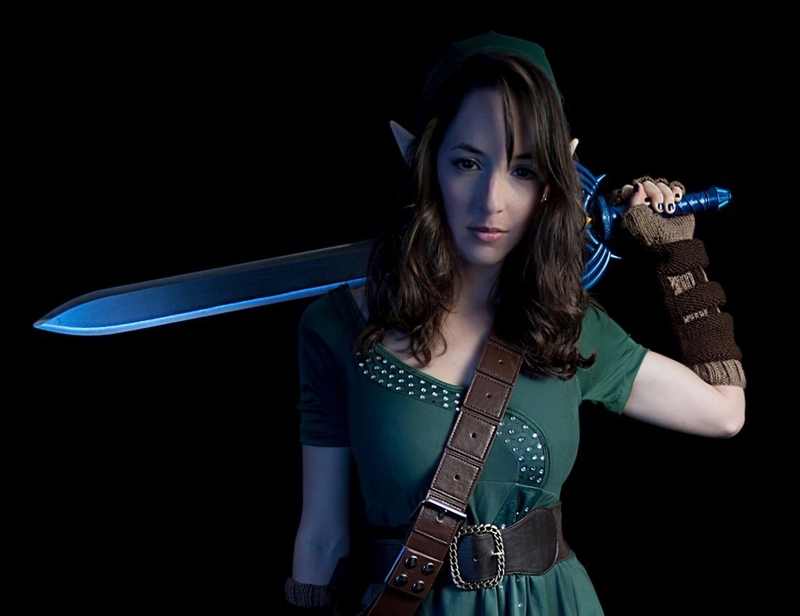 Critical Role is a show on Geek & Sundry that streams on Twitch every Thursday night where some really awesome voice actors get together and play D&D. 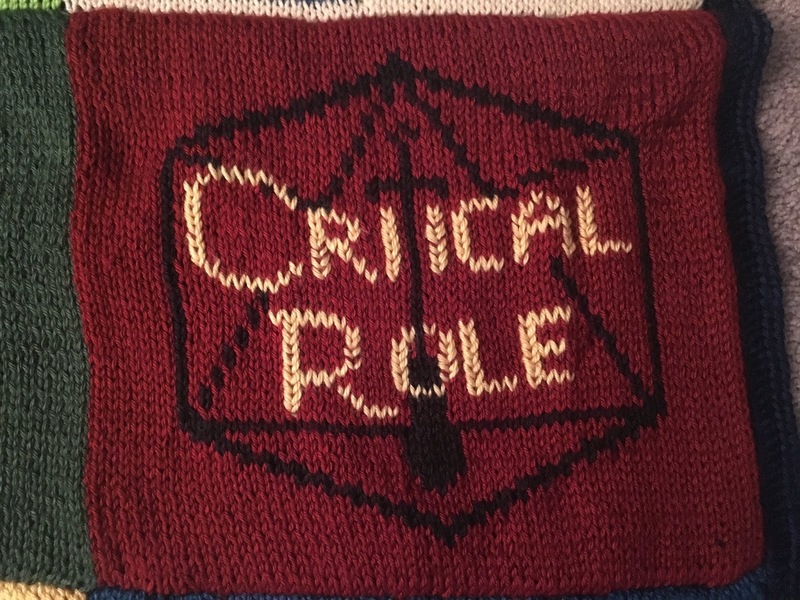 It's amazing and it's what got me into D&D in the first place. 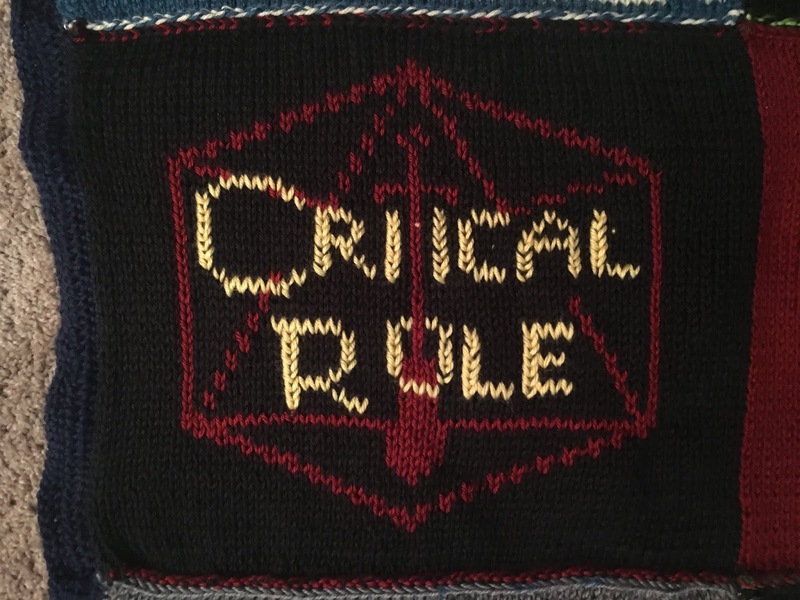 Check out the pattern for the Critical Role logo here. 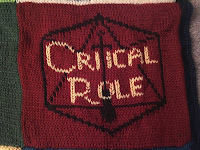 The Critical Role words are stitched on after the patch has been knitted with a large sewing needle. 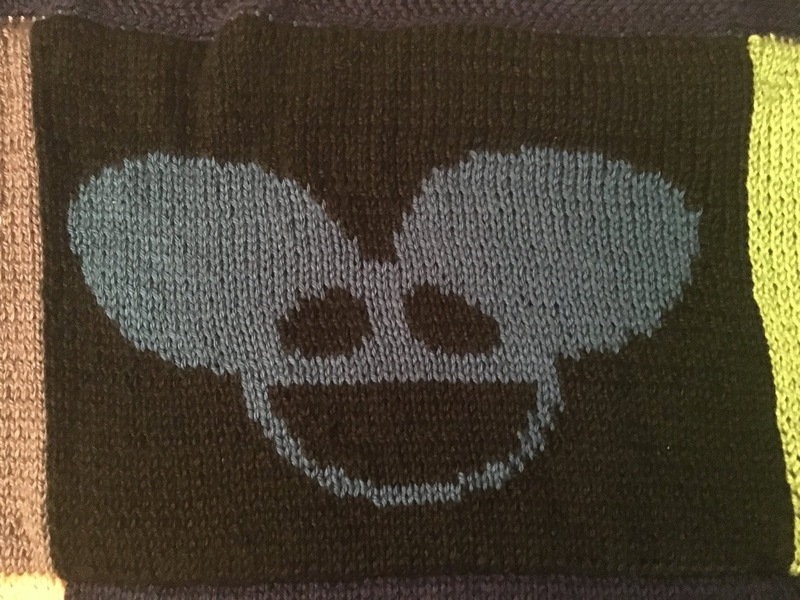 The only nod to music I included on this blanket, this Deadmau5 patch isn't necessarily a nerdy patch. 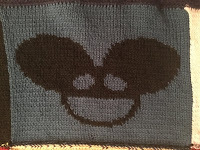 But Deadmau5 is one of our favorite producers - has been for years - and the Mau5 head seemed like it would translate well to a patch. 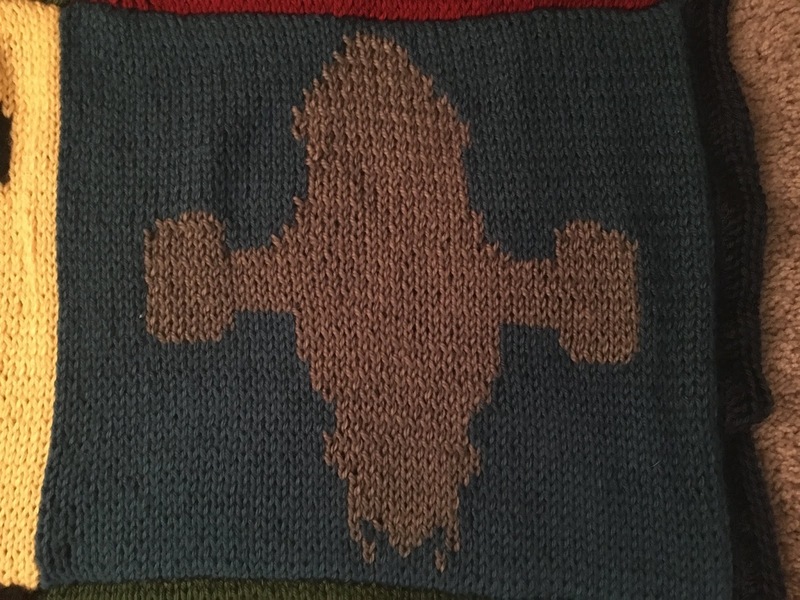 Pattern here. 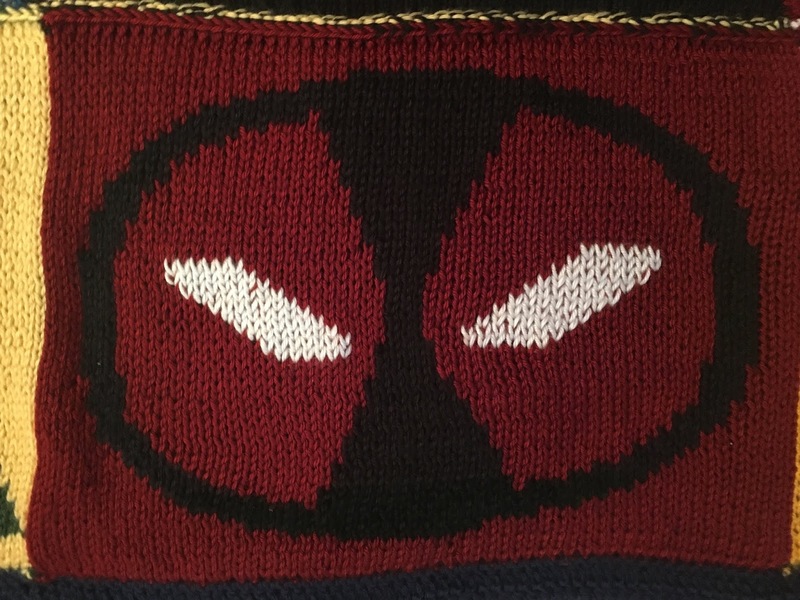 Ah Deadpool. One of our favorites in the Marvel universe. Thanks for just being you. Make sure you put in maximum effort for this patch. 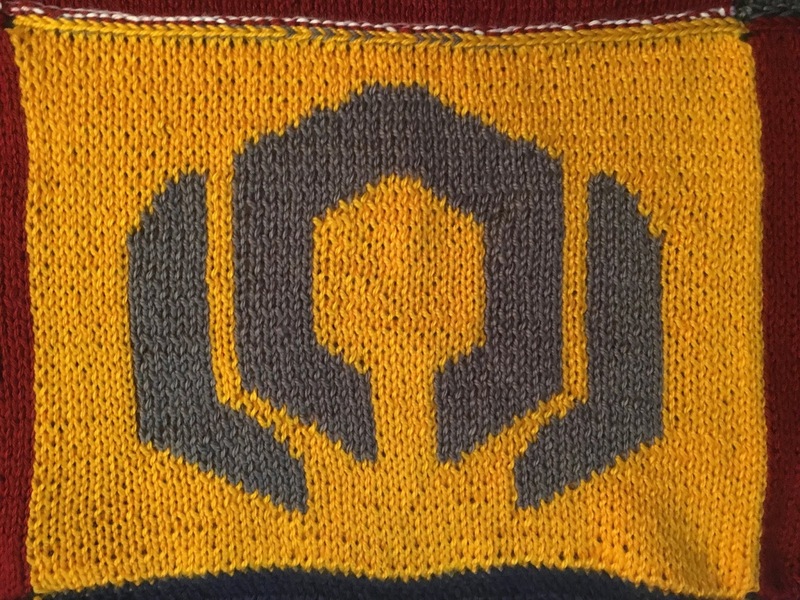 Pattern here. 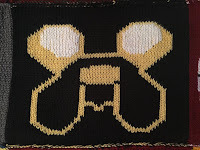 The eyes get stitched on afterward. 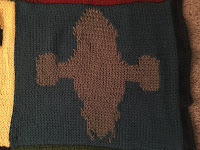 Firefly: A favorite series of nerds everywhere and the one we're constantly angry got canceled. You can find the pattern for the Serenity here. 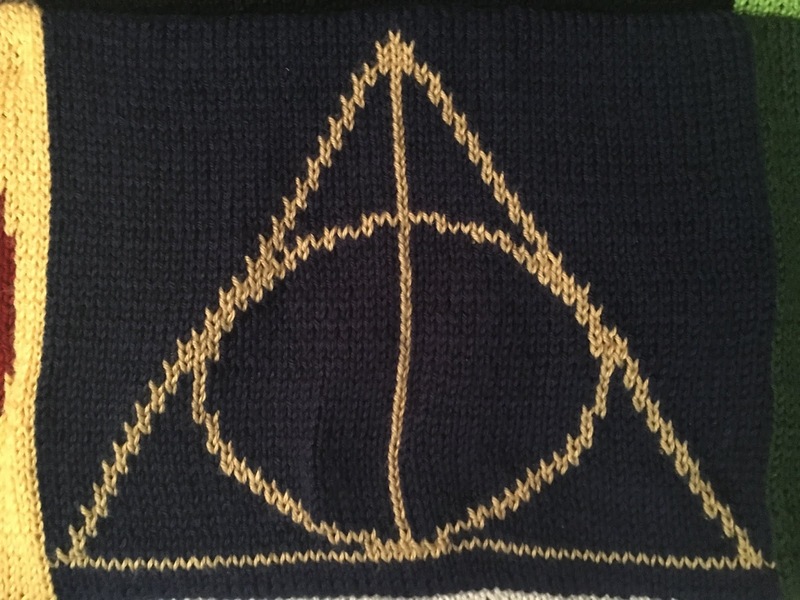 Few symbols have become as iconic in the nerd world as the Deathly Hallows. It's mainstream at this point. Pattern here. 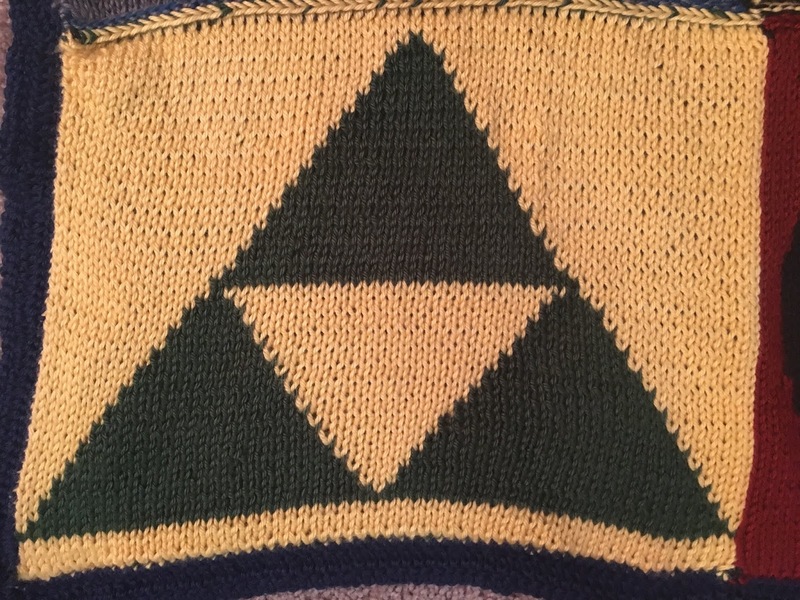 The Legend of Zelda is probably my favorite gaming franchise of all time plus Ocarina of Time is one of his favorite games so the legendary Triforce needed a spot on this blanket. Get the pattern here. 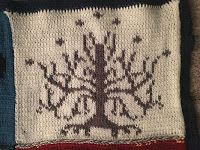 There flowered a White Tree, and that was for Gondor; but Seven Stars were about it, and a high crown above it, the signs of Elendil that no lord had borne for years beyond count. 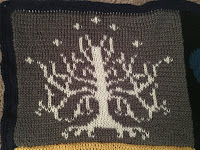 And the stars flamed in the sunlight, for they were wrought of gems by Arwen daughter of Elrond; and the crown was bright in the morning, for it was wrought of mithril and gold. 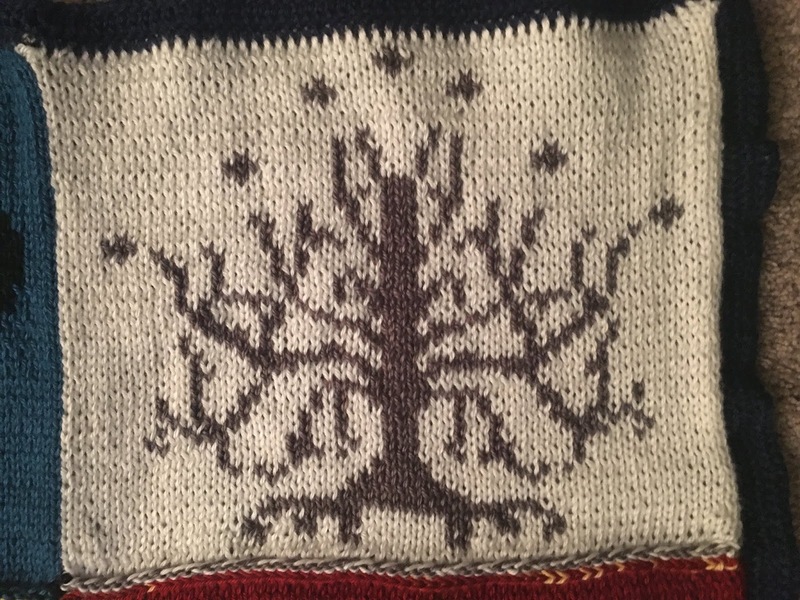 Grab the pattern for the iconic White Tree here. Commander Shepard reporting for duty. 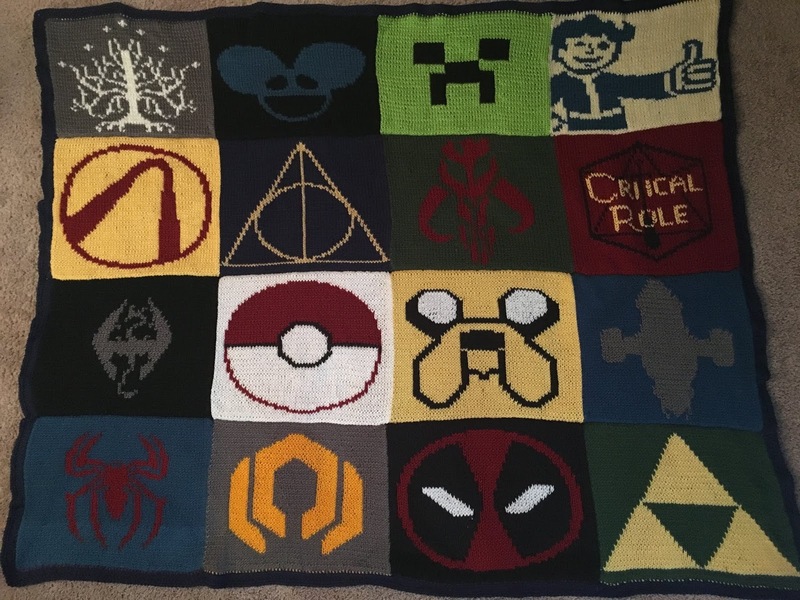 Another one of our favorite gaming franchises that needed a spot on this blanket. That is, Mass Effect 1, 2, and 3. Andromeda...don't waste your time. Get the Cerberus pattern from Mass Effect 2 here. 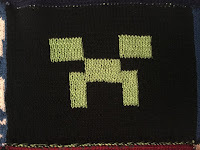 Don't you just hate it when these boogers show up and wreck your fortress in Minecraft? Get the pattern for these explosive little guys here. 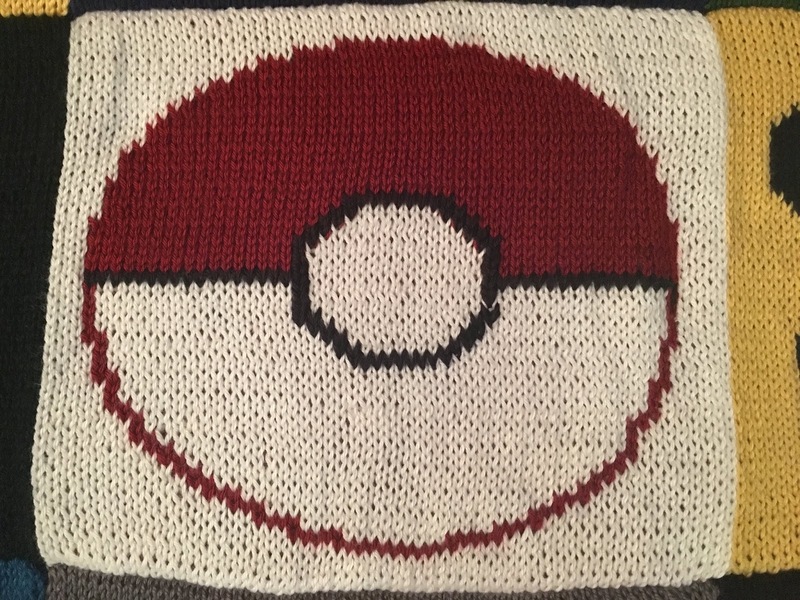 My knowledge of Pokémon is super limited. I was a Pokémon Go player back during the hype but that's pretty much the extent of it. 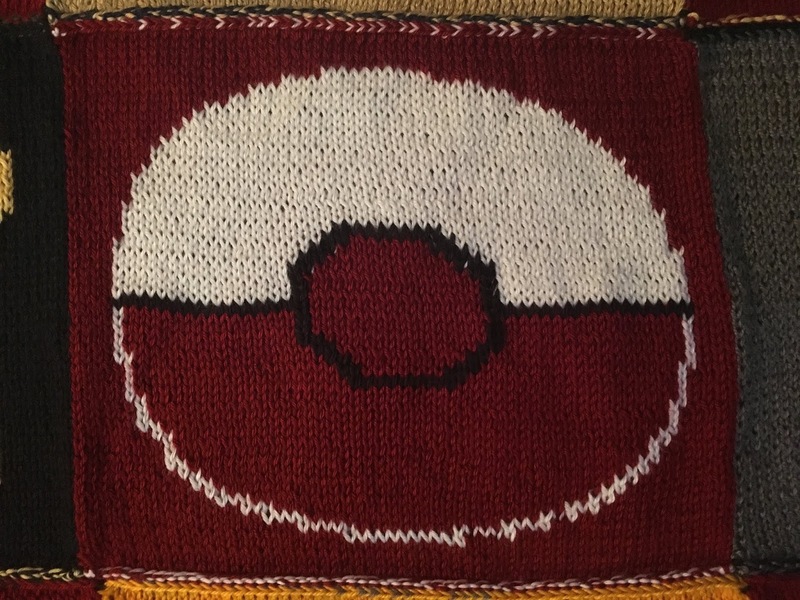 It's a favorite of his, though, so the Poké Ball gets a patch. 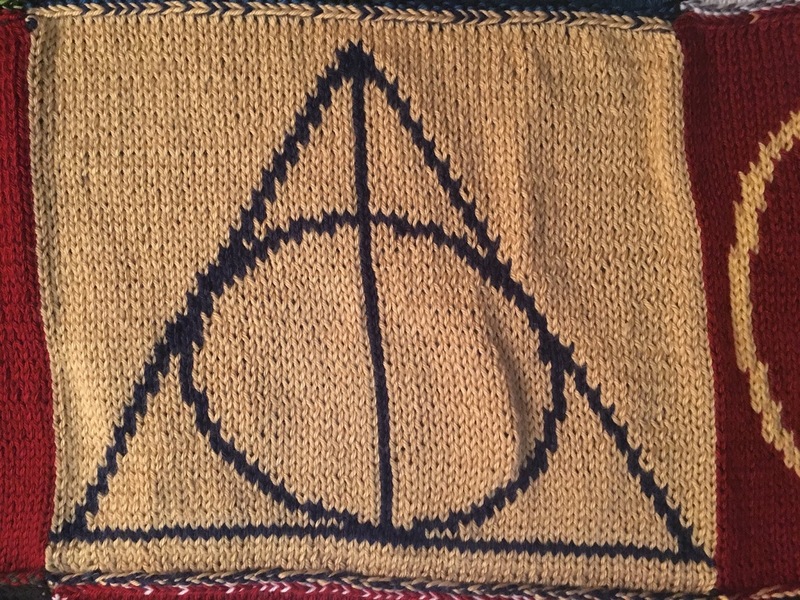 Snag the pattern here. 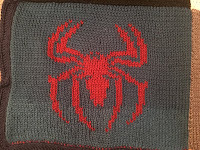 The black middle lines get stitched on afterward. I know I'm not the only one who put ungodly amounts of time into this game and still never beat it. Skyrim changed the face of gaming and so many modern games now are shaped after it. 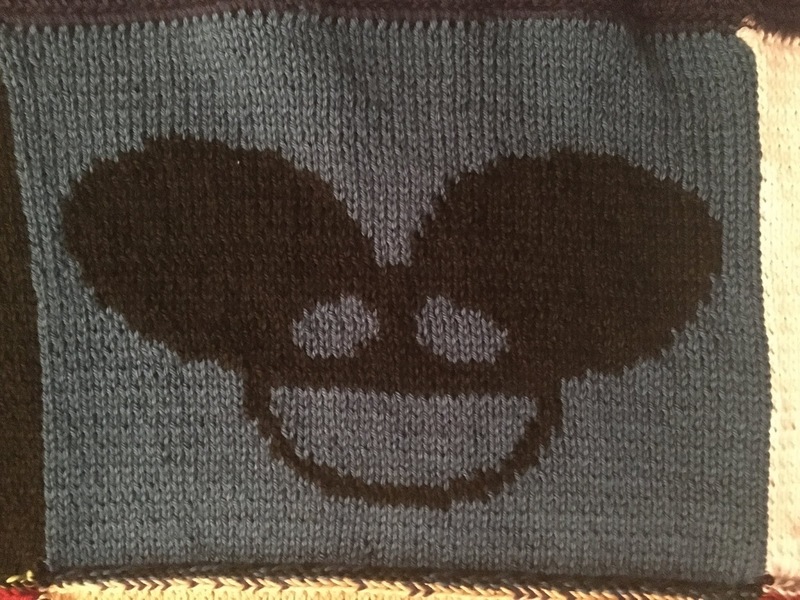 Years later, it's still one of my favorites. And I think it always will be. 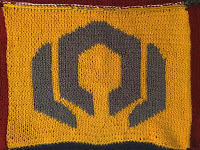 Pattern here. 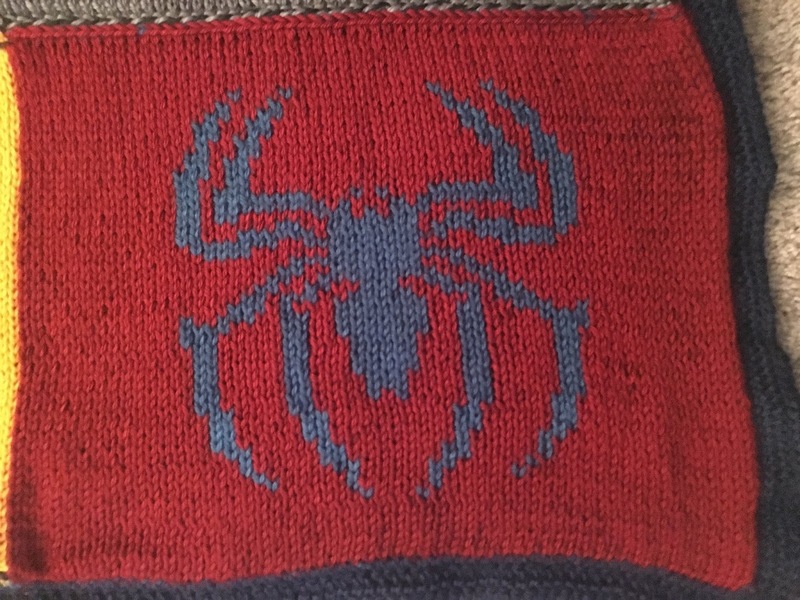 Who doesn't love the friendly neighborhood web-slinger? Find the pattern here. 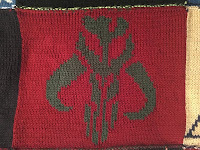 A lesser-known part of the Star Wars universe, the Mythosaur skull has become synonymous with the Mandalorian people. 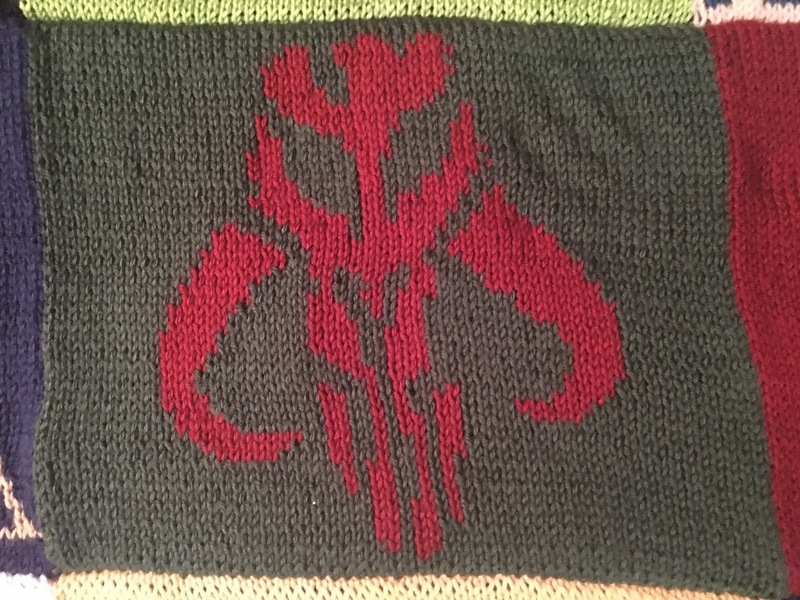 I included it on this blanket because Nate loves Boba Fett and really all the lore about the Mandalorians in general, so it was a good representation. 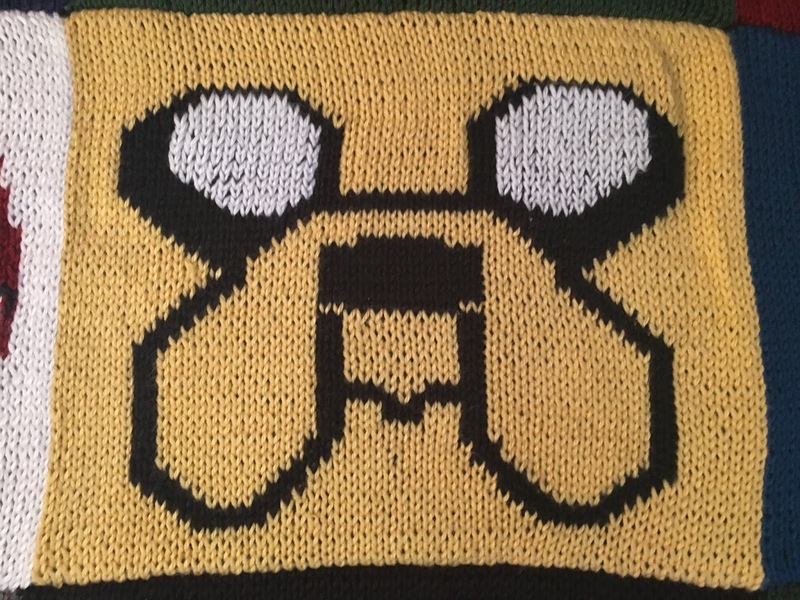 You can grab the pattern here. Use a large yarn sewing needle to sew each of the pieces together. 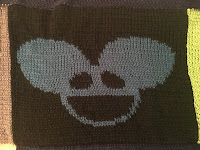 There is no particular order these patches need to be in so you can copy the arrangement I did or arrange them in a different way if you'd like. 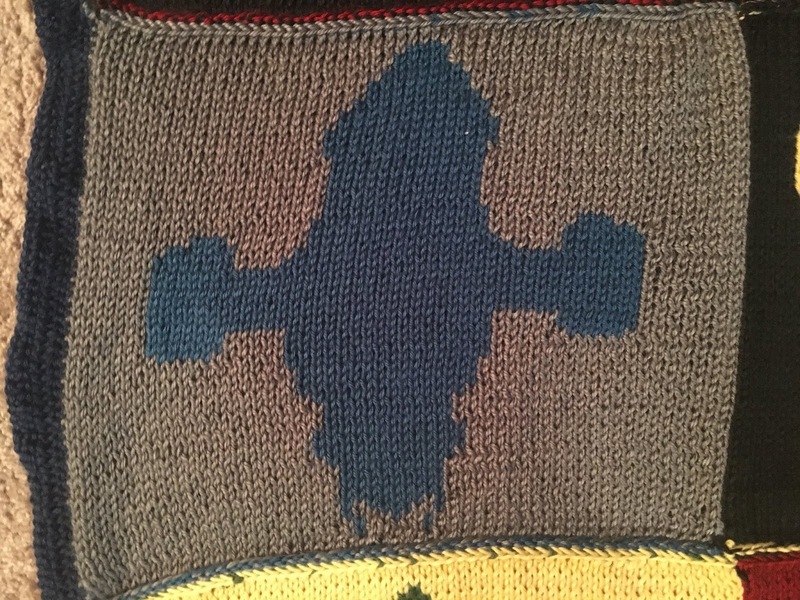 Just make sure all the correct colors are on one side and the reversed colors are on the other. 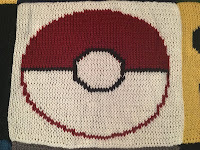 Here is where you'll need some experience in crocheting as well. 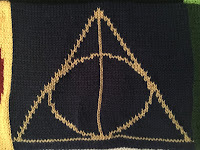 Once the piece is sewn together, pick up one of the stitches at one of the corners and attach a new skein of yarn. You can really use whenever color yarn you'd like for this but I used Caron Simply Soft in the color Dark Country Blue. Single chain the entire way around the blanket once until you reach the first stitch. 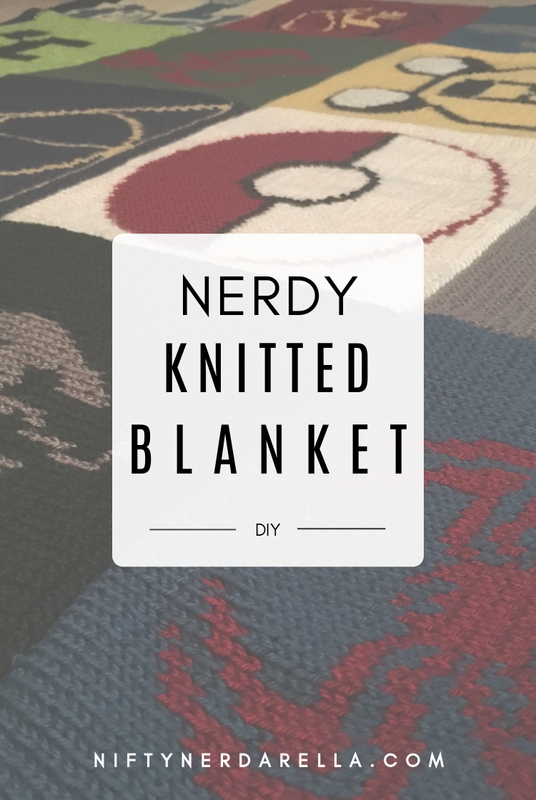 Then repeat a second lap around the blanket's edge, this time doing a double chain. Finish it off with another single chain row and tie off.